Sandy, gravelly or thin soil over limestone rock. A rare introduction from Europe first collected in 1970 in Washtenaw Co. 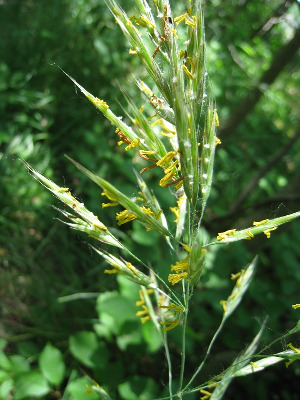 Even if basal parts are lacking and the absence of rhizomes cannot be noted, plants of this species look quite different from B. inermis, because of the erect inflorescence and the very narrow, mostly involute leaves. MICHIGAN FLORA ONLINE. A. A. Reznicek, E. G. Voss, & B. S. Walters. February 2011. University of Michigan. Web. 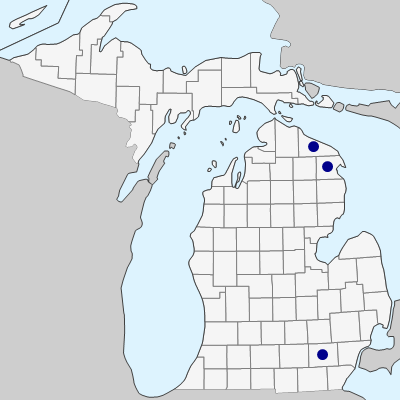 April 21, 2019. https://michiganflora.net/species.aspx?id=2031.